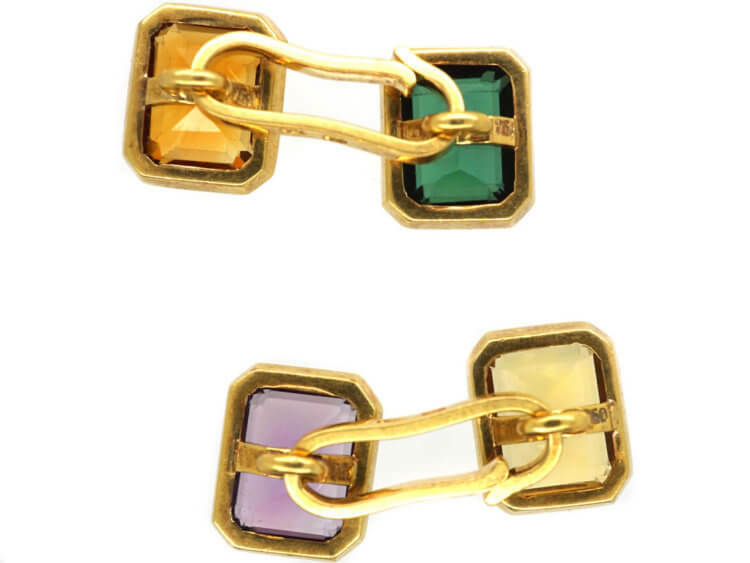 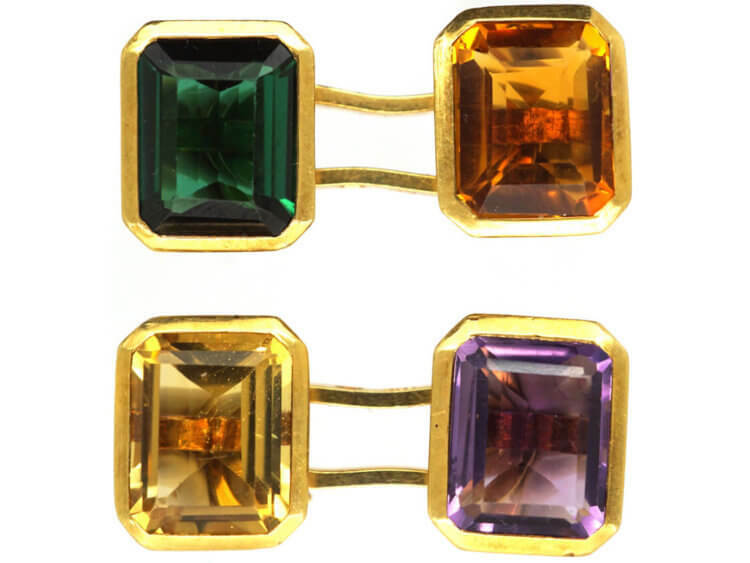 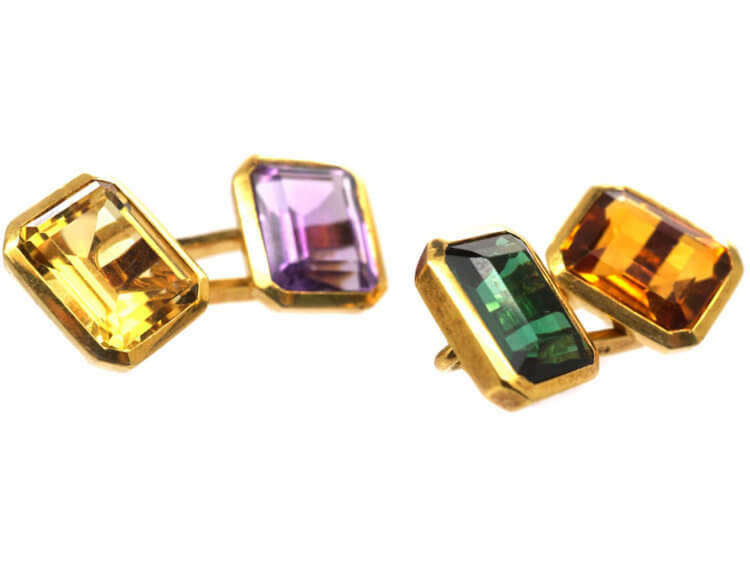 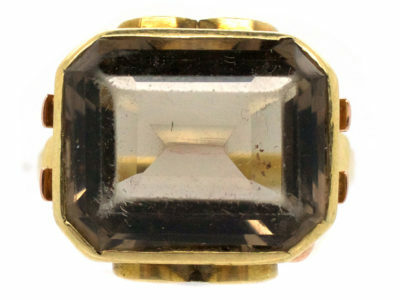 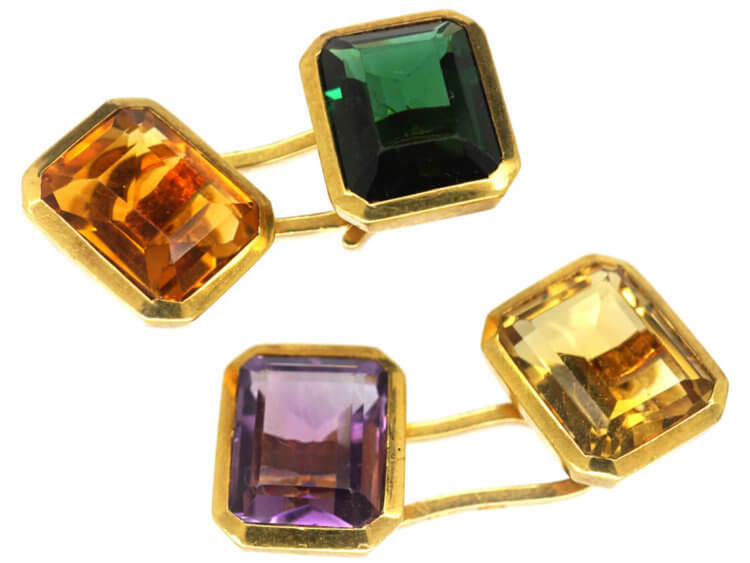 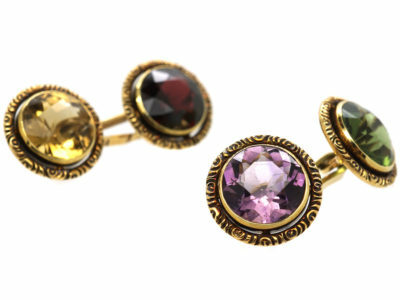 A good pair of 18ct gold semi precious gemstone cufflinks. 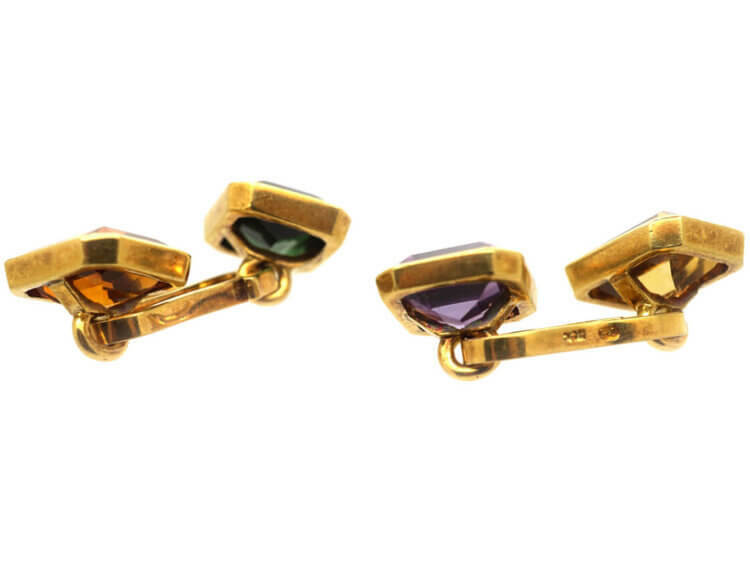 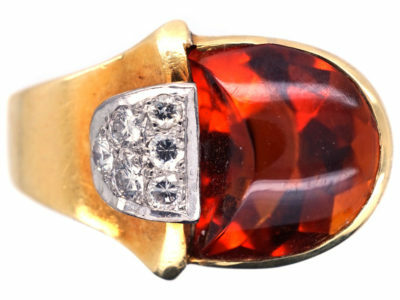 They are set with an orange tourmaline, green tourmaline, citrine and amethyst. 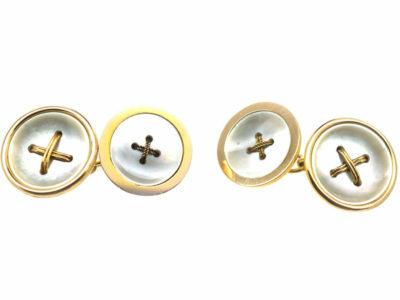 The dog clips open so that you can easily put them in a double cuff. 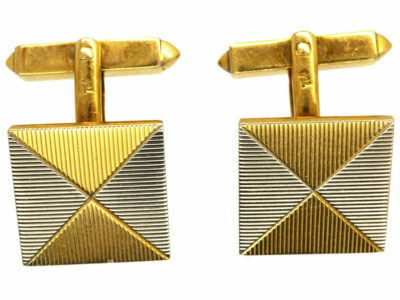 They were made circa 1940s-1950. 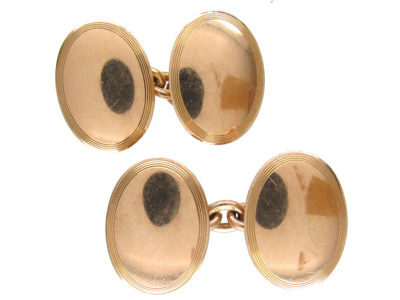 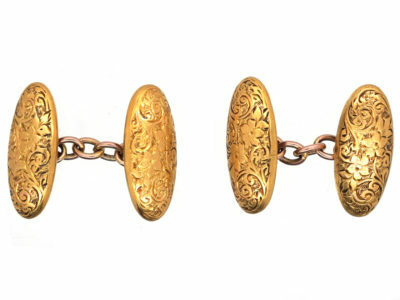 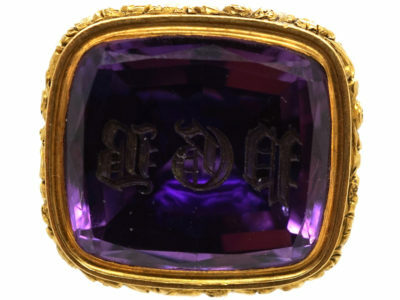 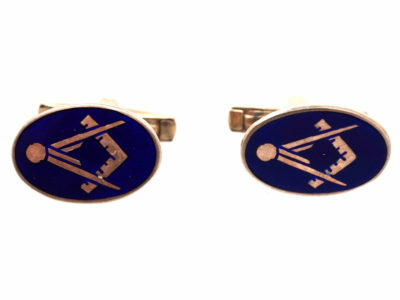 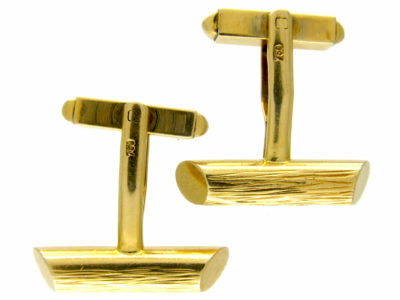 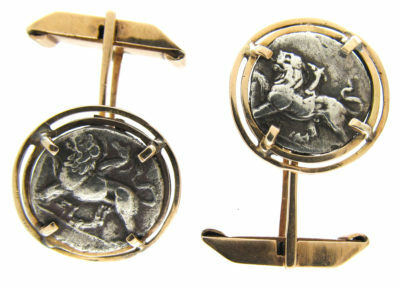 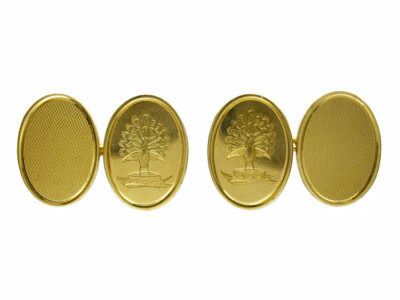 These cufflinks are so well made and very stylish!